Waterside Festival set to make a splash! 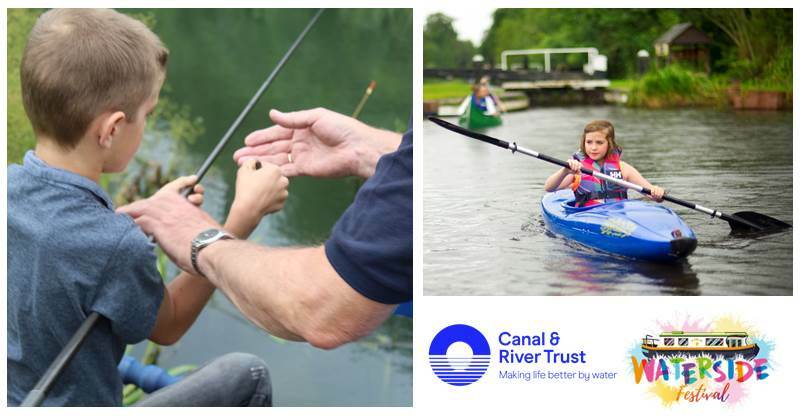 Canoeing, kayaking, paddleboarding, fishing taster sessions and even a virtual reality goggle experience are more of the brilliant and exciting events coming to September’s Waterside Festival, courtesy of the charity, Canal & River Trust. And best of all, they’re all free! Waterside Festival will be welcoming the Canal & River Trust to Aylesbury town centre on Saturday 8 September, as part of the celebrations for Aylesbury’s first canal festival. The Trust will be working with Chiltern Canoe Club to offer free canoeing, kayaking and paddleboarding taster sessions in the Aylesbury town centre canal basin, between 11am and 5pm. The sessions will be a great opportunity for all ages, individuals or family groups, to explore the waterways from a different perspective. There’s no need to book, just come along to have a go. For those willing to cast their net a little wider, Canal & River Trust is also offering festival goers the opportunity to try angling for free with The Tring Anglers, between 11am and 4pm, as part of their summer long ‘Let’s Fish’ initiative. Free fishing taster sessions will be available on the Aylesbury Arm of the Grand Union Canal by Tesco (Aylesbury, HP20 1PQ). It’s only a short ten minute walk along the canal from Waterside Festival, and is sure to be a family favourite. To avoid disappointment, book a place online, or visit Canal River Trust to see other free family ‘Let’s Fish’ events happening this year (ages 4 and up). In addition to the fantastic water-based activities, the Canal & River Trust’s enthusiastic and knowledgeable team will also be giving away virtual reality goggles so festival goers can explore the heritage and wildlife of the waterways whenever and wherever they like. Bring the kids along to the Trust’s stand at Waterside Festival to find out about our local waterways, join in with some nature origami, or even have a go at their colouring competition. There’ll also be opportunities to volunteer and get involved in making the Grand Union Canal and Tring Reservoirs an amazing place to visit. Follow our Facebook, Twitter and Instagram pages for more information. Previous Previous post: What’s on at Waterside Festival? Next Next post: Waterside Festival – just two days to go!